Assisted Living | Home Care Services | AHI Group, Inc. Among assisted living communities there is a wide variation in the level of care that may be provided. Some assisted living communities specialize in providing a supportive and safe environment for seniors who are largely independent but need some minor periodic assistance with activities of daily living or medication management. 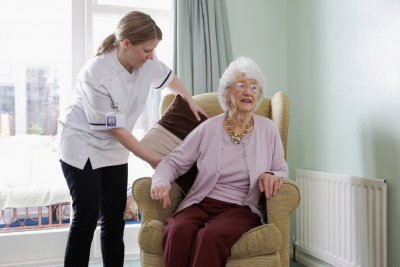 Other assisted living providers have designed their services specifically for the very frail elderly who need a very high level of assistance on a daily basis. all, of the same care services as a skilled nursing facility. It is important to know what type of environment each assisted living community caters to so that your loved one will be most comfortable. There are over 36,000 assisted living options to choose from in the United States. You can narrow your search for assisted living options by contacting one of our assisted living placement specialists who can help you find an assisted living community to meet your care needs, location, and budget. Click here to contact one of our assisted living specialists.